On June 2nd, 2018, science research sophomores attended the Somers Science Fair, a competition for first year science research students. 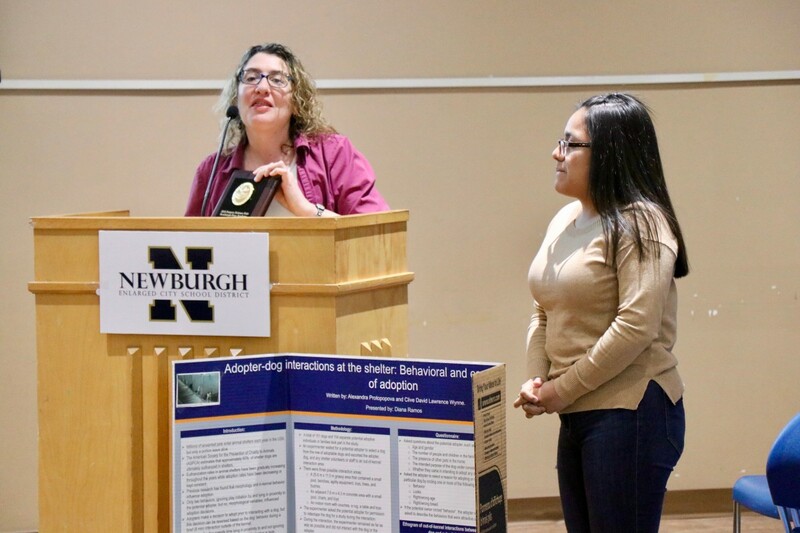 This competition allows first year students to present what they have researched over their sophomore year and discuss their projected research as an extension of what they have learned. Approximately 200 students attended, mostly from Science Research programs in Westchester, Putnam, and Duchess County Schools. This was the first year scholars from Newburgh Free Academy North Campus attended and were the only school from Orange County. 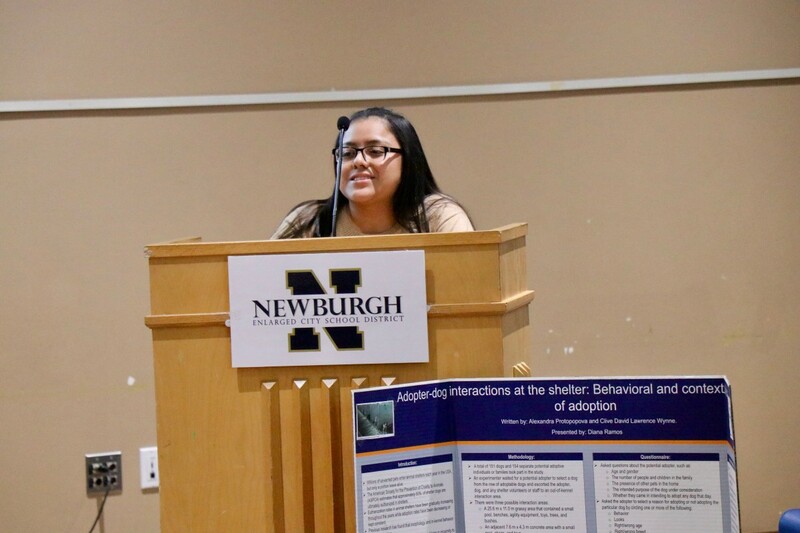 Sophomore Diana Ramos presented her poster board to judges in the Animal Science Category. 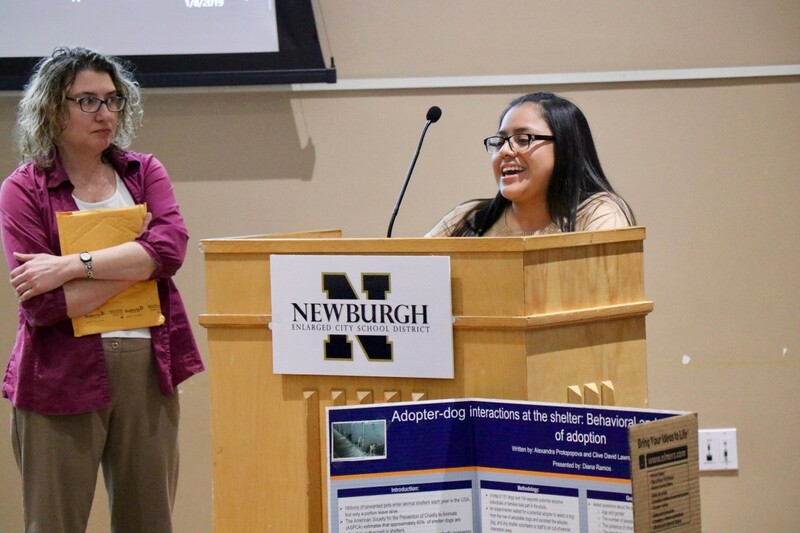 Diana hopes to observe behavior of shelter dogs as they interact with human visitors to help with dog adoption rates. She received a medal that day for her 3rd place win in the Animal Science category. Her teacher, Ms. Kristen Oberle received a plaque in the mail ini December and presented it to her at the Board meeting on January 8th. 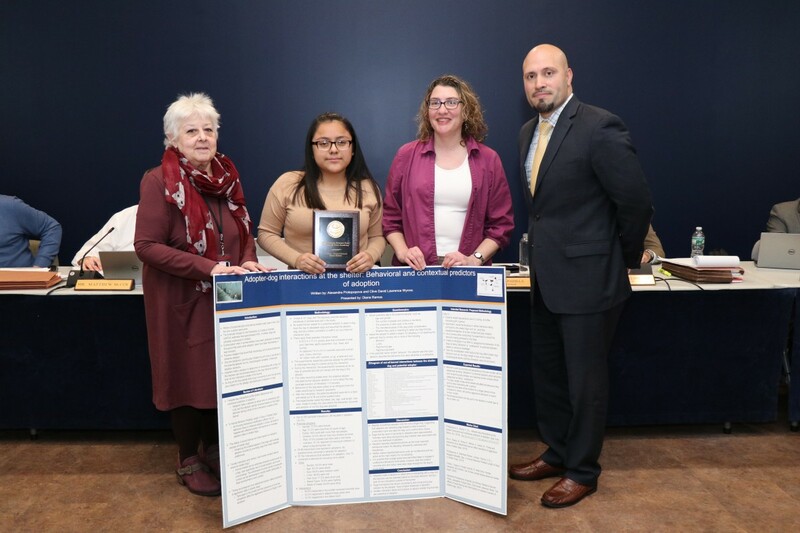 Diana presented some of her research and took a photo with her teacher Ms. Kristen Oberle, board president Ms. Carole Mineo, and Superintendent Dr. Roberto Padilla.